have the perfect outfit inspiration for you. As autumn should be the perfect transition from summer to winter it should also work like that with our clothes. I always push the day far into the end of fall, to finally move all my summer clothes to the end of my closet. 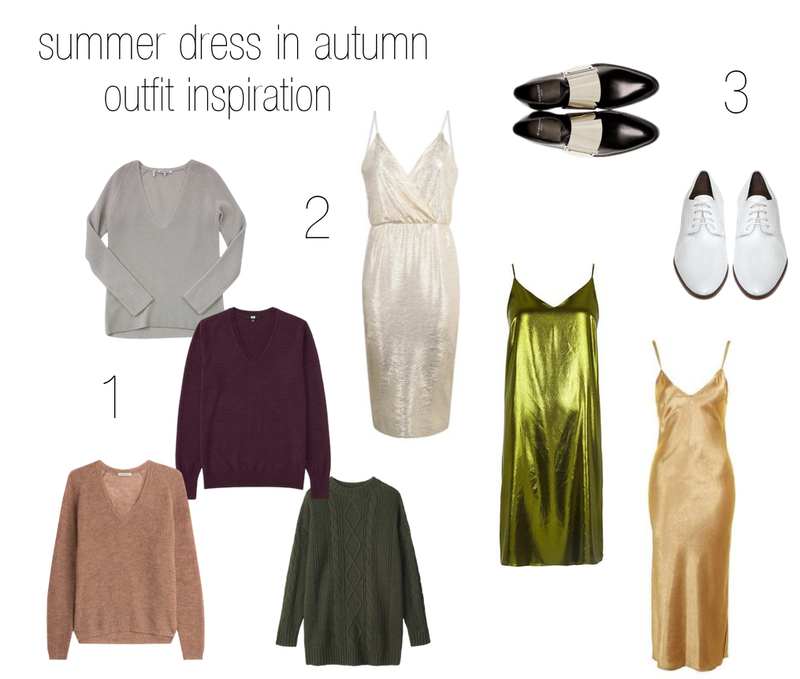 That’s how I came up with the idea of this blog post: HOW TO WEAR A SUMMER DRESS IN AUTUMN. Choose your favorite midi length summer dress and pair it with your favorite long sweater. I found mine at C&A its available in many colors. I figured the green one will work best with my favorite dresses and is also a great color for fall. To make this look a casual one for every day wear flat shoes. I think these looks work best with either loafers or brogues. Via Polyvore I found some nice shoes, together with some really chic metallic spaghetti strap dresses and extra long sweaters. I am so in love with these metallic dresses. I have a very similar skirt and I am sure I am going to pair it with my new long sweater by C&A. Something that you should keep in mind is to have a very simple color scheme for your summer dress to work in fall. My summer dress is a beige lace dress and I chose a green long sweater to wear it with and a light clutch and shoes. I love the fact that my long sweater has cuts on the side and is made out of wool. Here in Basel fall can be quiet cold and layering is a good way to keep warm. So, check your wardrobe and dont be afraid that the dress might be too chic. The long sweater and the flat shoes will totally balance out your midi summer dress. 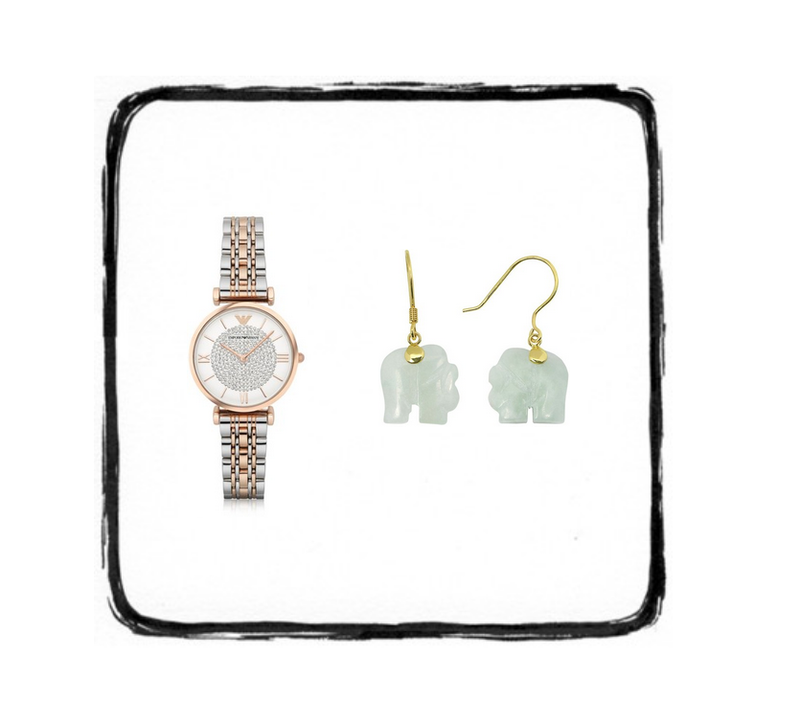 Try to keep it a bit low key with your jewelry, especially when your dress has a special textured fabric. Like in my case with the beige lace. In order to not go over board but still have a bit of chic I would suggest a nice women watch and some very simple but cute earrings. Unfortunately I could not find the exact same earrings that I was wearing in the photo above, but I guess they are quiet similar. The sunglasses are from the fleamarket and work really well with the outfit and jewelry overall. To sum it up, in order to create this look you need three essential things to make it work. You are going to need a midi length summer dress, a long sweater and flat shoes. I am pretty sure that you are having all these items in your wardrobe and would have never thought to wear them in that combination. But here we go, mix and match. That’s the fun part about fashion.